Thomas Doyle testifies in John Bernard Feit's trial for the 1960 murder of Irene Garza Tuesday, Dec. 5, 2017, at the Hidalgo County Courthouse in Edinburg. Doyle testified as an expert witness on the Catholic Church's cover-ups of crimes similar to the Irene Garza murder. Following testimony from Thomas Doyle, an American Catholic priest, the state called another expert witness in the study of celibacy among Roman Catholic priests. Richard Sipe, a former Benedictine monk, has written books about Catholicism and the sexual abuses arising from the Catholic Church’s requirements of celibacy. John Bernard Feit walks past clothing worn by Irene Garza in the 92nd state District Court for the fourth day of his trial in her 1960 murder Tuesday, Dec. 5, 2017, at the Hidalgo County Courthouse in Edinburg. Sipe, who began collecting data in this field coincidentally the same year Irene Garza was killed, has written multiple books in this field and has had his research used most notably by the movie “Spotlight” — a 2015 film about the Catholic Church’s abuses in Boston. The state established Sipe and Doyle as experts in these fields to argue that the church exhibited a pattern of concealing indiscretions by its priests. The court recessed early for the day. There is an issue the court will take up this afternoon related to the defense’s motion for a mistrial. The defense claims that Sipes violated the agreement that he could only testify to evidence already entered into the record. Because Sipes said “polygraph” during the defense’s cross-examination, the defense argued that this was in violation of what was agreed to by the court. The state argues this was not brought up by prosecutors and that there was never a discussion of the results of Feit’s polygraph, thus no harm. The judge is set to rule before testimony resumes tomorrow. 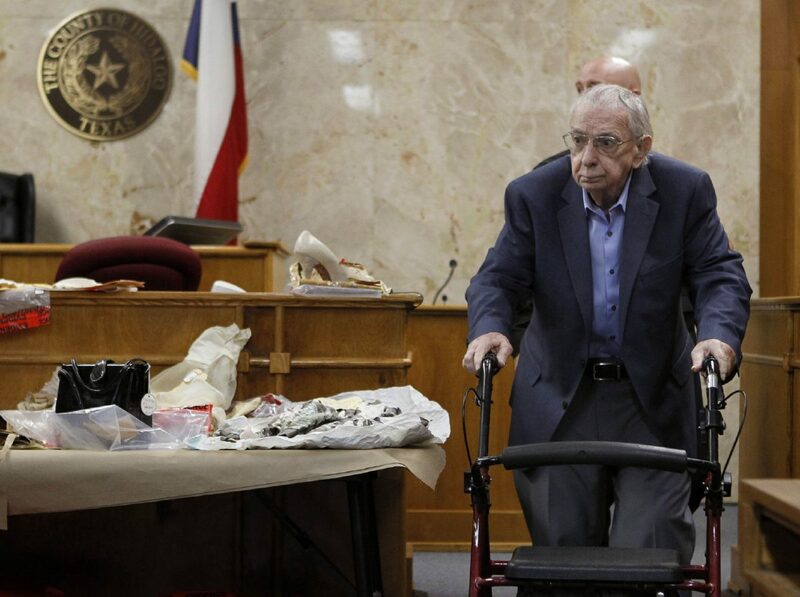 Before jurors were seated for the fourth day of testimony in the John Feit murder trial, Brooks Egerton, a writer and editor who wrote for the Dallas Morning News, took the stand Tuesday. While working for the Dallas Morning News, Egerton wrote an article in November 2004 regarding the case in which he interviewed Father Joseph O’Brien. Now deceased, O’Brien told Egerton that he helped steer the authorities away from the church and Feit, who O’Brien suspected early on in Irene Garza’s disappearance. The judge, who ruled to allow Egerton’s testimony about his interview with O’Brien, also overruled the Dallas Morning News’ objection to the subpoena after failing to appear in court today. The majority of the morning’s testimony was from Thomas Doyle, an American Catholic priest in the Dominican Order. Now an inactive priest, he co-authored “The Problem of Sexual Molestation by Roman Catholic Clergy,” in 1986, alerting bishops of sexual abuse by clergy. He was asked by the state to read a letter that purports to document the Hidalgo County Sheriff’s Office of complicity in a cover-up with church officials. In the letter, a church official conveys to church leaders specific instructions from the Hidalgo County sheriff at the time as to how to avoid making public the truth of Feit’s alleged involvement in Garza’s murder. Doyle testified the church was more concerned with the potential bad publicity rather than solving Garza’s murder. McAllen Police chief Victor Rodriguez on Monday provided testimony about two statements Feit gave to police in the subsequent months after Garza’s body was recovered from a canal on April 21, 1960. Rodriguez was part of the case after it was reopened in 2002. The separate statements about what transpired at the Sacred Heart rectory, given by Feit to police in May and June of 1960, appeared contradictory to each other, the chief testified. 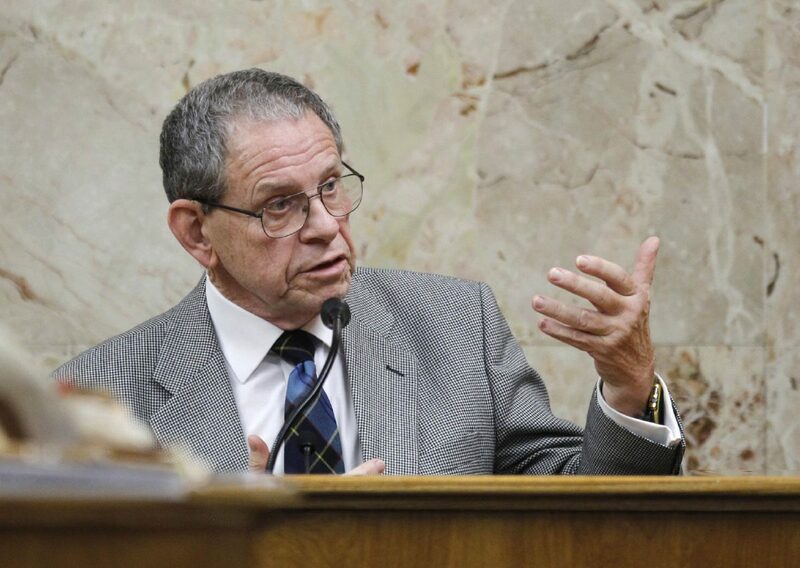 Dale Tacheny, the state’s star witness, testified that Feit confessed to him in 1963 the killing of Garza. Tacheny, now 88, is a former Tappist monk who counseled Feit. The defense questioned Tacheny’s motivation for taking it upon himself to investigate the case decades later.